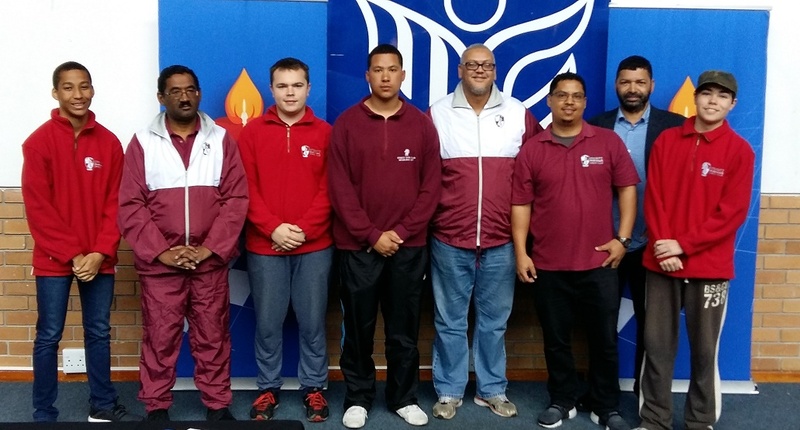 We have set our sights on building grassroots support and winning the WP Premier League title and to win the South African and African Club Championship. 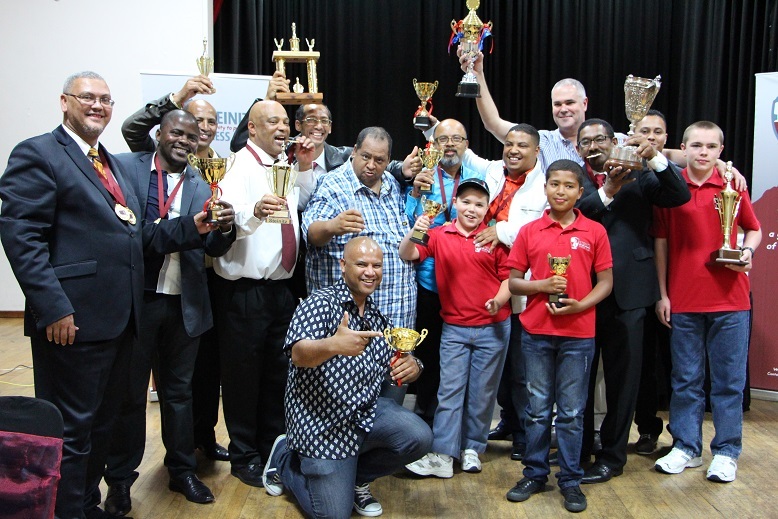 Chess in South Africa needs strong leaders with integrity to take us to the heights where chess can be visibly seen to have risen. Our Motto is with Unity to Prosperity and we unite ourselves under the motto of Fide “Gens una sumas” We are all one family. 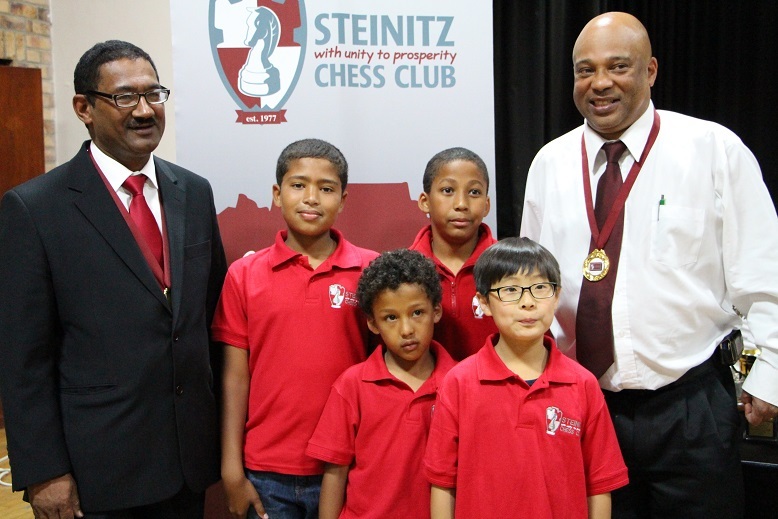 Steinitz chess club has decided that it is time to start a junior group in order to develop Steinitzians of the future. The club has hand picked a group of talented junior players who will be mentored and toughened by experienced club players that have already seen it all and achieved at the highest level. The young players will practise with the club on a regular basis and will also be included in club activities and league games. 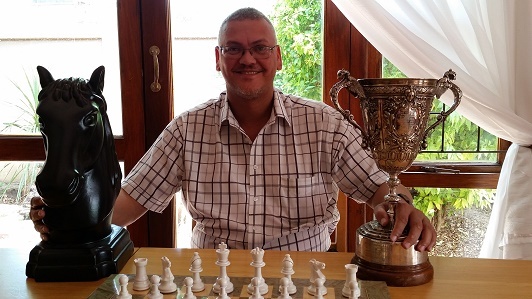 It was in November 1976 that 4 high school students came together in Kalksteenfontein a suburb of Bonteheuwel and started playing the odd game against each other. Later in 1977 they decided to form a club. 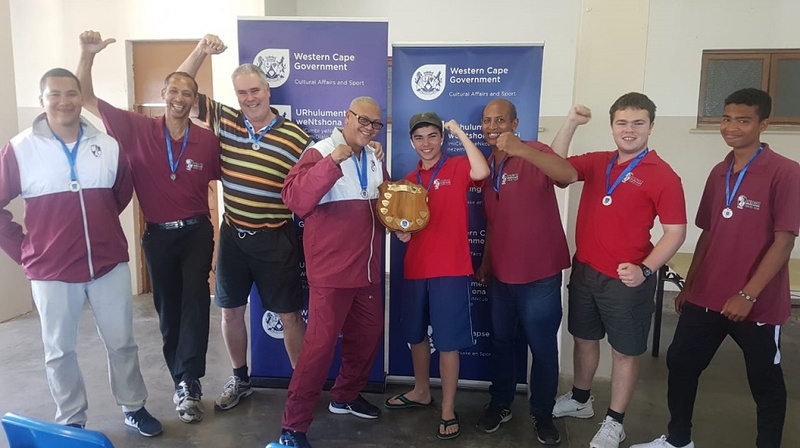 By this time the number had grown to 6.The first members of the club were: Nazeem Majiet (also the first Chairperson), Ebrahim Ortell, Mark Lewis, Jeremy Lewis, Andrew Talmarkes and Norman Macqueen. The first club competition held was won by Norman Macqueen. Steinitz Dropbox for games, pictures, reports and results. © Copyright Steinitz Chess Club.